O'Neil Architects - Northern Virginia architect designing environmentally responsible wineries and tasting rooms in Loudoun County Virginia and surrounding areas. As rural businesses continue to locate and grow in Loudoun County, O'Neil Architects has seen an increase in design and construction of these unique spaces. 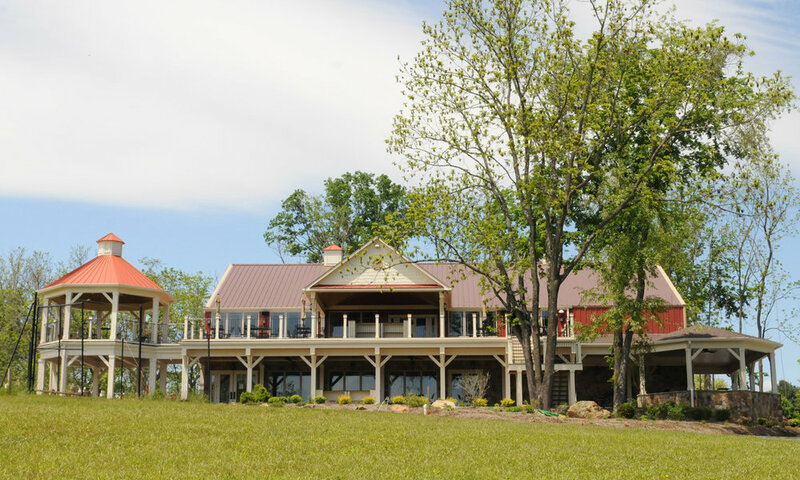 We welcome the opportunity to work with rural businesses, including wineries, micro-breweries, wedding and event venues, distilleries, creameries, art studios, and others, to turn your business ideas into building designs that will draw people to your location and enhance their experience in the Loudoun countryside. We work with our winery clients in several different ways, depending on their needs. Sometimes we simply act as a design consultant to develop a master plan. For others we work in the more traditional roles of architect, owner and general contractor, where we design the project with the owner and identify the contractor through a bid process. We have also worked as part of a full service design-build team on some winery projects. Our design-build approach can work particularly well for new winery projects, given their unique requirements. Our design-build partners include Sebastien Marquet of Burgundy Style, a knowledgeable winemaker and winery consultant, and Ken Wilson of Brixtone, an experienced winery builder. Working as a team, we design and build wineries that fit the client’s vision while streamlining the construction process. This team approach combines our design knowledge, Mr. Marquet’s wine making experience and knowledge of the required production equipment, and Brixtone’s specialized winery construction management services into a complete design-build package for our clients. This helps ensure a smooth, well thought out design and construction process and a functional, aesthetically pleasing, successful winery.